Al and Missy Terry were called by God to go into the mission field and after several years of prayer and leading by the Holy Spirit, through faith, God began to form Hakima and gave clarity to the vision for His assignment. In 2013, the Terry’s gave away most everything, left behind three children, their church, friends and family, quit jobs and stepped out with Jesus. They took their twin 15 year old daughters, packed their entire life into two suitcases each and landed in Nakuru, Kenya. 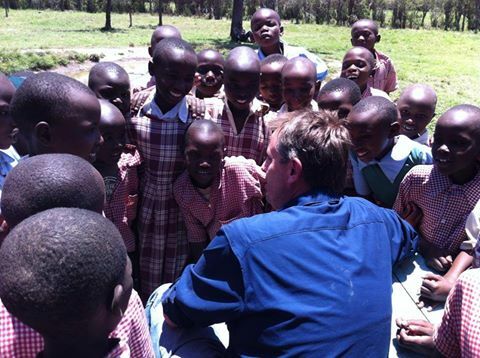 The Soysambu Conservancy in Nakuru, Kenya is now our home and base of operations for the ministries in East Africa. Hakima is an Arabic word meaning wisdom; but it is more than just a word; it is a phrase which is translated as “the journey of a pure heart.” God has given us a vision that is much bigger than us. Proverbs 25:2 says, “It is the glory of God to conceal a matter; to search out a matter is the glory of kings.” We are very excited about what God is doing, and what He is about to do here in Kenya. God gave us a vision of a hub and spoke. God showed us that we are like the hub, and there are other ministries that will be spokes. All of our local ministries are rooted in our local church. Doing life with other like-minded ministries across the world is a reflection of our Father’s heart. We are ordained pastors in Kenya under Africa Gospel Church which has over 1,800 churches in three countries. The church we pastor is the Soysambu Africa Gospel Church. Our work permits are under World Gospel Missions. In the United States, we are ordained as pastors under Destiny Worship Center in Destin, Florida. Our ministry was founded in 2013. Hakima is a registered 501.C.3 in the United States. The sole basis for our beliefs is the Bible, which is uniquely God-inspired, without error, and the final authority on all matters on which it speaks. As the Bible teaches, there is one God, eternally existing in three persons – Father, Son, and Holy Spirit – each possessing all the attributes of deity. Jesus Christ, the second Person of the Trinity, lived a sinless life on earth and voluntarily paid for our sin by dying on the cross as our substitute. This accomplished salvation for all who receive grace by trusting in Him alone. He rose from the dead and is the only mediator between God and us. He baptizes believers in the Holy Spirit. He will return to earth to consummate history. The Holy Spirit draws people to Christ and indwells the believer to live an overcoming and victorious Christian life. We believe in and depend on the power of the Holy Spirit to meet our needs, in every arena of life. We believe in the present day gifts of the Holy Spirit that empower Christians to live the life God intends for them. God has called every believer in Matthew 28:19-20 to make disciples. Hence, one of our primary focuses at Destiny Worship Center is to help people build their lives, both spiritually and relationally. John 3:16 clearly tells us that God loves people sacrificially. God’s heart is to reach those who don’t know Him. We are passionate about doing the same.